It is no secret that iPads are widely used by students and teachers nowadays. Some US educational establishments support the complete integration of iPads into classrooms so that students and teachers can upgrade the old-fashioned learning process using these up-to-date gadgets that are available all over the USA. Users who only use the iPad for playing games or browsing websites should be made aware that this famous Apple tablet can also be used for fulfilling a range of different educational tasks. Instead of carrying along dozens of heavy books to school, it is enough to bring one iPad that is capable of containing multiple eBooks for each lesson. There are numerous eBook reading tools for iPads, and thousands of digital books are available in the App Store. The iPad’s built-in Wi-Fi connection and few specialized iOS apps will be enough to turn your tablet into a huge reference book containing thousands of links to such popular online services as Qwiki, Flipboard News, Wikipedia, Dictionary.Com, etc. All of this data can be saved and archived using the Instapaper and Read Later tools of the iPad. Thanks to its multitouch screen, any iPad can also be used as a physical notebook. If you buy a pen-like stylus, you can forget about carrying your notebooks in addition to your physical books. There are also multiple free and paid digital alternatives to regular notebooks that are sold in the App Store. To name few, there is Simpletone, Evernote, PlainText, and Penultimate, which is described below. With an iPad, one can arrange all school assignments, use time-managers, and get his or her social life under total control. In addition to this, the iPad allows you to connect your Twitter, Facebook, and MySpace accounts via one app like MyPad. An iPad also offers multiple opportunities for those who prefer to get involved in all social activities at school. Right now, when you know what opportunities and advantages you can gain by using the iPad with an educational purpose, it is a good time to check out the most useful App Store items that were manufactured especially for fulfilling the tasks mentioned above. There are so many books to read and so little time to read them. The developers of this app understand this problem perfectly and offer a sophisticated solution. 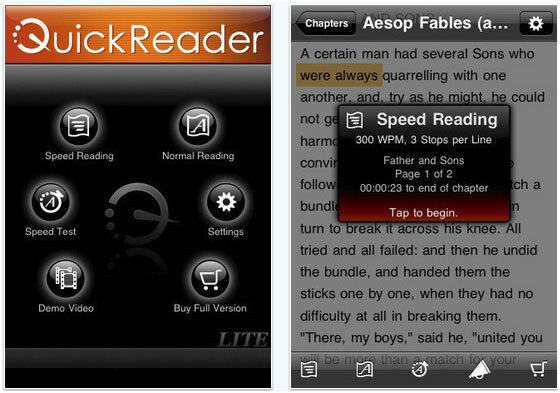 You can learn speed-reading techniques with the unique method offered in the QuickReader app available in the App Store for $5. The tool teaches you how to effortlessly read very quickly and then works as a touch-free eBook reader, allowing you to read digital books without having to “turn over” the pages on your iPad. Free from scrolling with a nice, intuitive interface and multiple speed-reading options, this app definitely has to be installed on your iPad if you enjoy reading and need to save time during this activity. It is no secret that even secondary school students need to freshen up on their grammar and vocabulary skills from time to time. 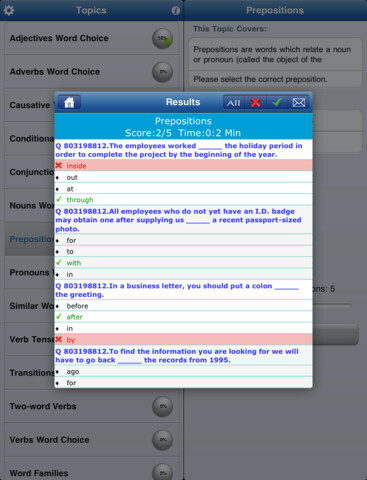 The Grammar Up HD app for the iPad offers a lot of built-in quizzes with over 1,800 different questions divided into 20 categories that can help school-age children improve their grammar skills and get higher grades in their English classes. This free application is a lite version of the Math Ref service and contains over 1,300 math references including figures, formulas, tips, and even examples so that a student can figure out the meanings of certain formulas. It can be used as a convenient study guide with the ability to view graphs. 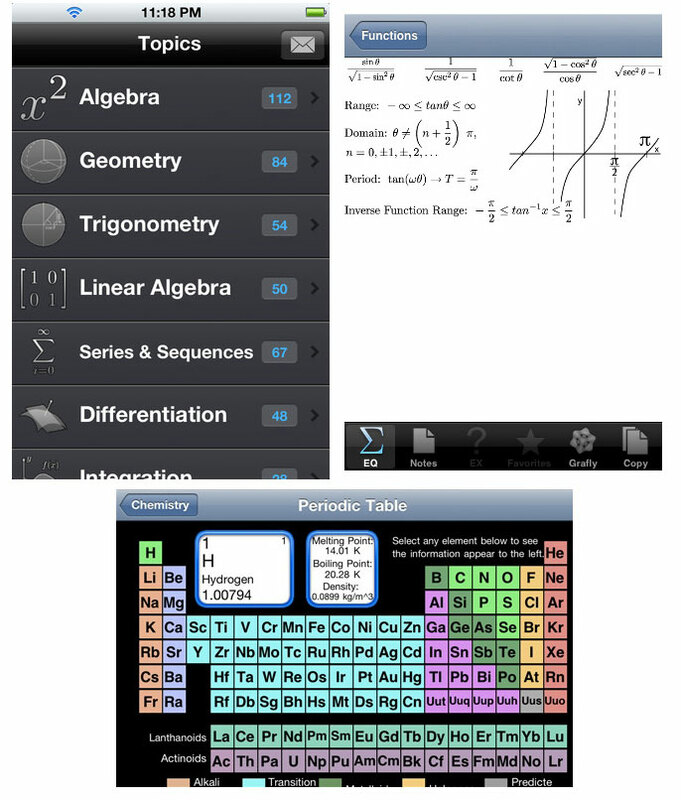 The app is perfect for most mathematics lessons starting with secondary school. Upgrade your star gazing experience with the popular Star Walk for iPad tool. 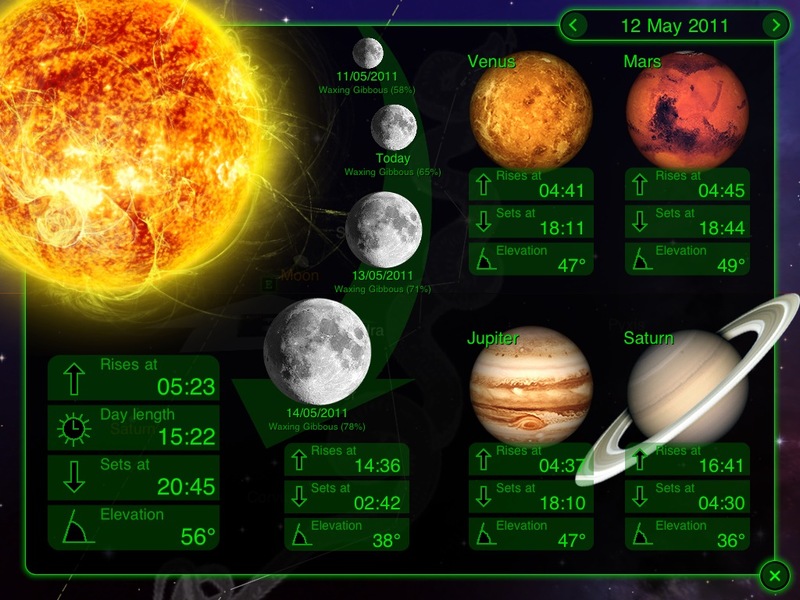 By using this application on your tablet, you will be able to make dull astronomy lessons more interesting. This user-friendly application is a great choice for tracking and learning all of the major planets and stars. After being launched on your iPad, the application will detect your location and show you the star map. Simply point your tablet toward the sky with this app launched, and track down stars and constellations through its stunning visual interface. Star Walk is so far the best interactive astronomy guide. Khan Academy is a unique free collection of more than 3,000 video clips of 10-minute lectures dealing with practically every branch of science including physics, history, economics, and mathematics. In addition to multiple theoretical lectures, this app also offers more than 300 practice exercises that will help you choose what and where to learn on your own. This is probably the only iPad reference service that contains so many useful video lessons for school-age children, and it is offered absolutely free in the App Store. 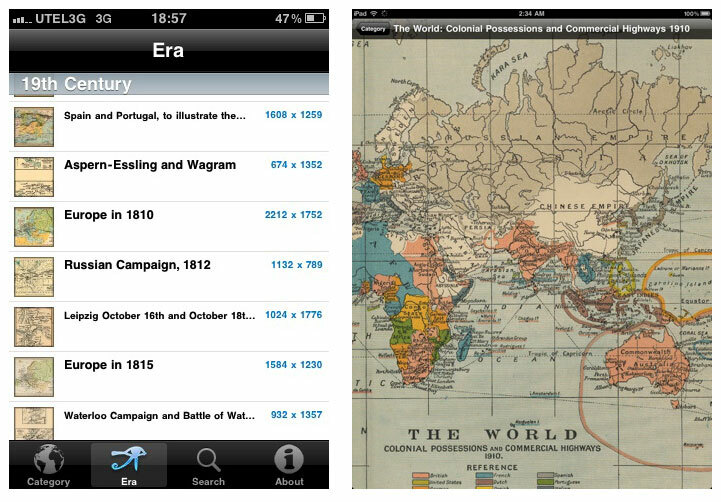 History: Maps of World is another reference service offered via the App Store for free. This is a must-have tool if you like history since it is packed with high-resolution maps of the United States, Europe, and all of the continents, as well as many countries of the world, including modern and historical maps with marked locations and dates of important events. History: Maps of World is an irreplaceable tool for history classes. 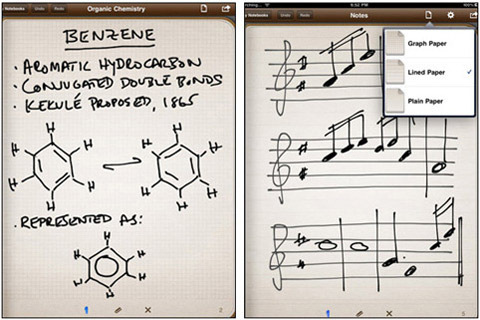 Surely, chemistry classes could not be ignored by the developers of iPad applications. Molecules is a neat free tool that allows students and teachers to view and create 3D models of various molecules. 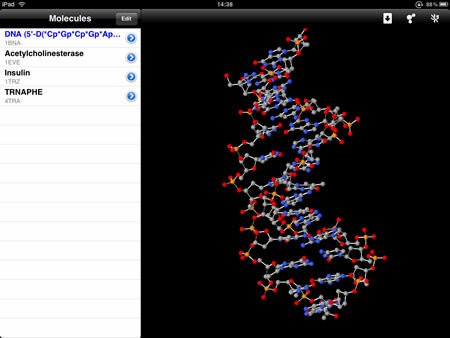 For example, if a teacher needs to demonstrate a protein molecule during a biology or chemistry class, he can use this convenient app with a user-friendly interface and premade templates to show the class the proper model with minimal effort. A sophisticated handwriting tool designed especially for the iPad’s multitouch screen, this application looks like a digital version of a paper notebook and also works as a personal manager for all handwritten notes. As we have previously mentioned, an iPad tablet can help students track all of their homework assignments, record their grades, and manage their time. 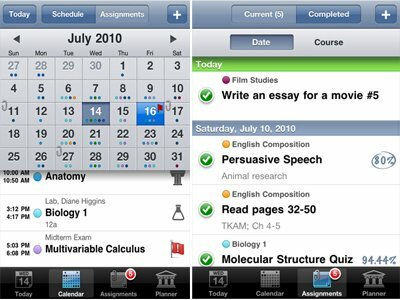 If you need to check your schedule or check the boxes in a to-do list, you won’t find a better tool than iStudiez Pro. From my point of view, it’s beyond any doubt that ipad is very useful for students and children alike. I think that in the future, traditional books and notebooks will be replaced by modern tablets such as ipads. 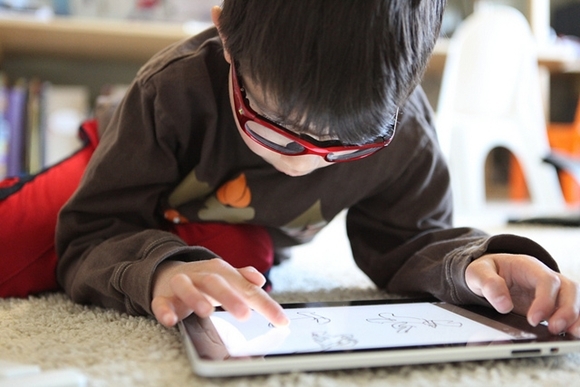 I actually read an article today in a Danish newspaper on how more and more children are getting iPads from parents, all the way down to 3 year olds – who find it very easy to use the device. Of course not all families can afford it. Woww, we even couldn’t imagine all these new learning and teaching techniques just few years ago. Thanks for sharing some great apps for students. I wish i had such applications and gadgets when i was a student. They offer an interactive way to learn and this is scientifically proved to be the best way for a student to study. I would like to add mathstudio as it is the best calculator I have ever used and formula max (like math ref but with some more categories). It was so great that gadgets now are very helpful for our kids. But remember that everything have advantages and disadvantages. One school here in the Philippines developed a software for tablets such as iPads. They incorporated all the books needed by the students inside that software. It is like a complete reference set of information for the students. But what will be the disadvantage? Hello again, I think that these are great application for our kids, to be honest I never knew about this before, that many useful application keeps coming out. I am just wondering if these are free to download? 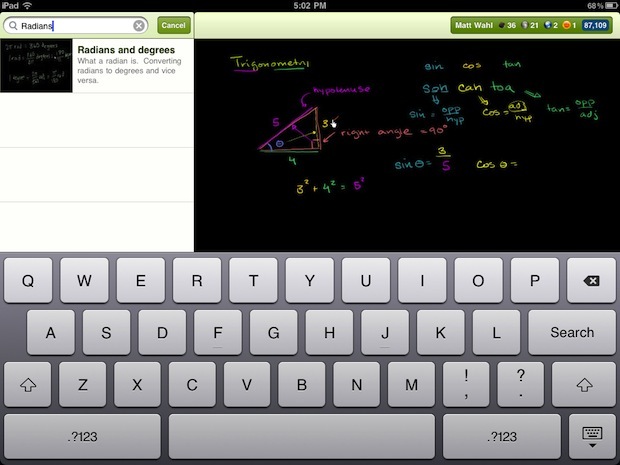 These all are very good and beneficial application of iPad which will make the study of the student very easy. Students will enjoy the study and understand it in the better manner by using these type of application of iPad. A definite must for children. These apps are great for self-study!